A distinctive necklace for the modern woman. 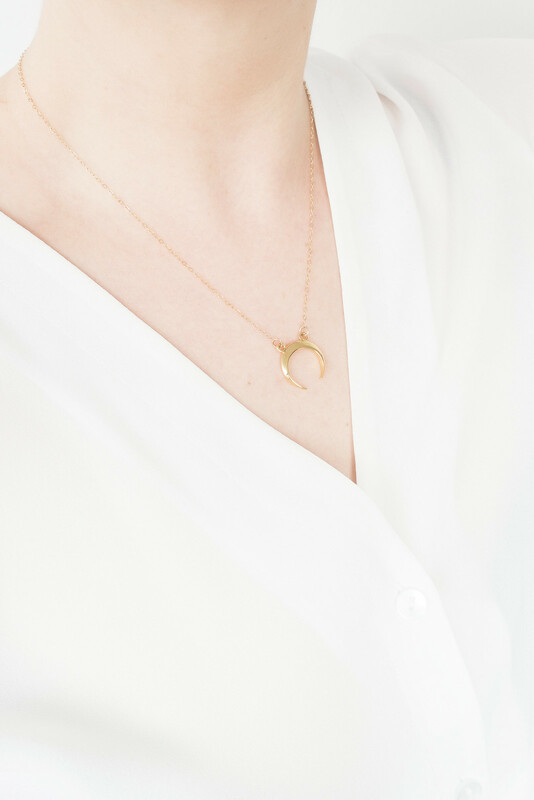 Shining and beautiful, this Crescent Necklace features a crescent moon pendant hanging from a delicate chain. A dreamy necklace symbolising growth and new beginnings. Available in 18k Gold-Fill and Sterling Silver.